Download servers IP tv and m3u files for Watch all sports channels, movies. Welcome to Free SIPTV to Download servers IP tv and m3u files and codes for some programs to Watch all sports channels, movies, all This servers are Evry Day. Download IPTV m3uPlaylist and Xtream Codes to watch TV in phone, TV and Laptop/PCs. Looking for most LIKED, TOP WATCHED, HD CHANNELS for free IPTV? 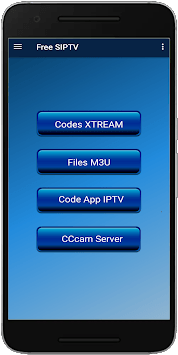 Full native Android application for Xtream Codes IPTV pro users. *** Pay attention - only registered providers that bought a license on our website will be able to provide their service through our app.